Rediff.com » Business » Borrowers, be prepared to pay for the Nirav Modi scam! 'The RBI can make a change in EMI the default option, when interest rates rise or fall, rather than a change in the loan tenure,' says Harsh Roongta. 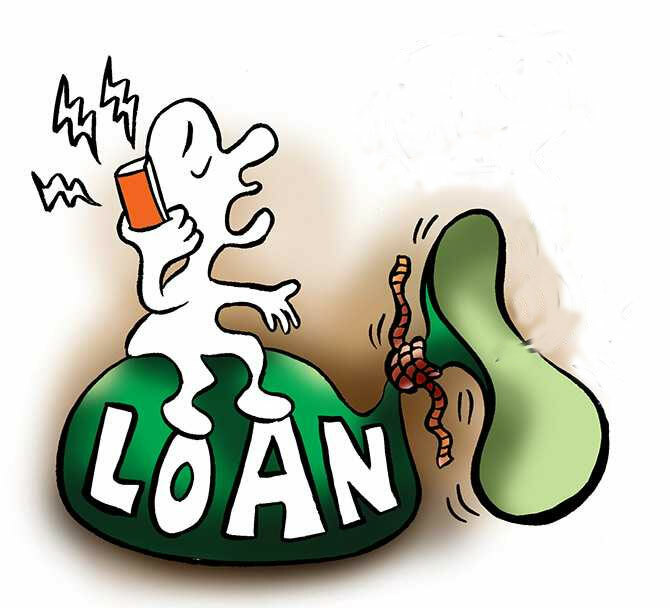 It seems sacrilege to write about borrowers and lending rates when a scam of mammoth proportions has just taken place in the banking industry. But both are linked. Till now, retail borrowers have always paid higher interest rates when the interest rates are high. But they do not get the benefit when interest rates drop. Apart from the fact that this tantamounts to cheating them, this also restricts the Reserve Bank of India's ability to manage inflationary expectations and growth. When the RBI lowers its signalling rates, it expects banks to pass it on to borrowers. When banks pocket such gains, the RBI's signalling does not have the desired impact. Over the last 20 years or so, the apex bank has tried various methods to fix floating interest rates by introducing various benchmarks such as the Prime Lending Rate, Benchmark Prime Lending Rate, base rate and the latest, marginal cost of funds-based lending rate (MCLR). But its efforts have been in vain. The RBI's own studies show how interest rates are fixed arbitrarily, by both public sector as well as private sector banks. If we assume that the proposal of the RBI study group reflects the central bank's own thinking, it seems certain that at some point of time in the future, all floating rates will be linked to an external rate (making the rate fixation transparent). The recent addendum to the study also mentions that the reset period should be quarterly rather than be left to the discretion of banks. In other words, it reinforces views mentioned in the original study report on all matters, except the time frame by which the new system will be implemented. It agrees with banks' logic that more time should be provided to them to adjust to the new system as it is likely to have an impact on the banks' balance sheets. Now with the scams tumbling out, the pressure on banks' balance sheets will only increase. Hence, it is likely that the borrowers' quest for a fairer deal will now be delayed further. Effectively, the existing borrowers will end up bearing part of the cost arising from not just non-performing assets, but also the Nirav Modi scam. The RBI is unlikely to be worried as interest rates are likely to rise in the immediate future. In fact, to take borrowers out of their lethargy, the RBI can make an important change -- make a change in equated monthly instalment (EMI) the default option, when interest rates rise or fall, rather than a change in the loan tenure. Today, the retail borrower is only aware of his monthly EMI amount. Often, he has little clue of the interest rate which may have actually changed many times from the time the loan was taken. Earlier, the change in EMI was not a viable default option because repayment was done by post-dated cheques. But today the repayment is by way of electronic mandate and getting that changed to include a provision for a larger or smaller amount is no longer a daunting exercise. This is also likely to jolt the borrower to realise how much he is overpaying and shift his loan (or negotiate a lower rate with his existing lender). Harsh Roongta is a SEBI registered investment advisor. Should you go for a zero-cost medical loan?